Modern day life see’s us needing to make the most of our space at home, and a popular way to do this is to merge the inside with the outside. 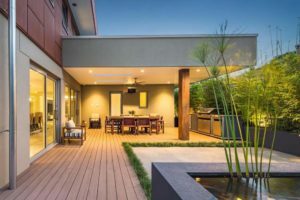 It’s all about the interaction between life inside and life outdoors, and creating a lifestyle that blends the two into a versatile and bigger living space. There is no longer an obvious border between the house and the garden, but instead a seamless blend of the two with open spaces and clear lines of sight between areas. Australia has the perfect climate for alfresco dining all year round, and an undercover eating area attached to the house makes it relaxed and enjoyable to eat outside even when the weather is bad. Seamless flooring is an easy way to blend the outdoors with the inside, making it look and feel unified as well as extending your living area. Apart from letting in more light, fresh air and making a small room look bigger, incorporating floor to ceiling windows and doors which open up to the outside is a fantastic way to bring the outside in. Continuing the same ceiling through to the outside undercover area will merge the spaces nicely and make your area feel larger and more open. To truly have the best of both worlds, not only do you want to take your luxuries and comforts outside but you should also bring a touch of nature inside. 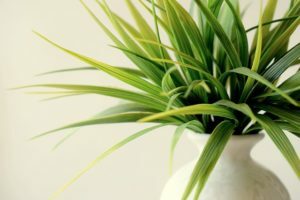 Bringing plants and natural elements into your home not only brings your space to life but also creates serenity and calmness. Plants are always a beautiful way to introduce a touch of nature into your home, it can be a nice little cluster of succulents or a large pot or planter box. The trick is not to overdo it and layering in odd numbers always works well. For example, if you have something big, just have the one, but when you have lots of small plants just cluster 3 together on the shelf. This is a nifty styling trick that is more pleasing to the eye than just randomly placing one here and there. 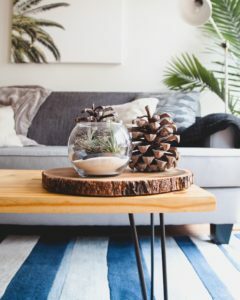 It’s not only plants that can be bought inside, try grouping together a selection of shells or some pine cones, showcase some sea glass or a nice piece of driftwood. Blending the outdoors with inside not only creates more living space, but also gives you the best of both worlds to enjoy no matter what the weather. And being connected with the outdoors when inside brings a wonderful sense of calm and relaxation to our somewhat busy every day lives. For more professional advice on interior design, decorating or materials for your home or commercial space please contact the team of Inspired Spaces today!